I still can't believe it's almost Christmas.. Where has the year gone? Actually, where has the last decade gone? My son turns 9 the week after Christmas and it makes me want to cry. Yup, sometimes time just passes to quickly and it can yet a tad depressing at times. It's important to treat ourselves every once in a while to push those blues away and make the most of life. One of my indulgences in moments like these? 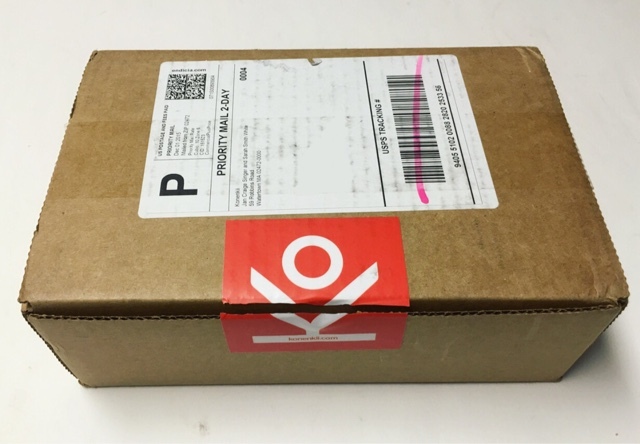 A new box from Konenkii. 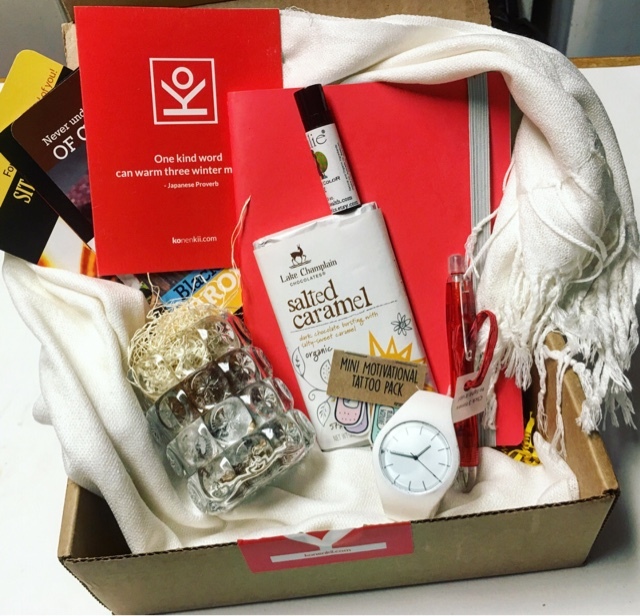 Konenkii, who kindly sent me this box for review, is a new quarterly women's subscription box. The cost is $49.99 every three months and includes items to 'ease, educate, and empower' you. Konenkii has a mission, and that mission is to help women age fearlessly and have a little fun on the way! 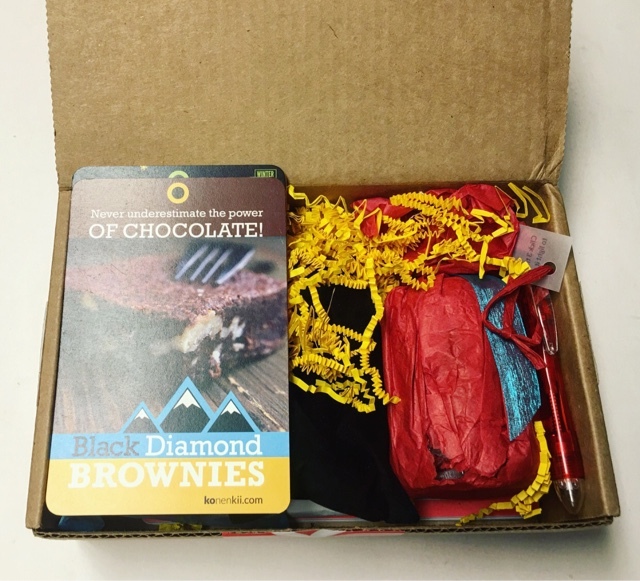 What is it about a box with wrapped up goodies inside that makes me so happy? Answer: because it's like Christmas.... It makes it more exciting! They changed things up on the information card this month and I really like it. 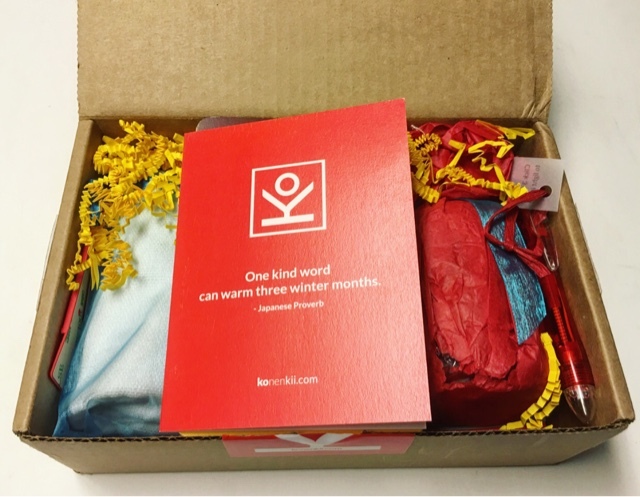 This box is packed with some fabulous Winter essentials and I'm so ready to dive into it! 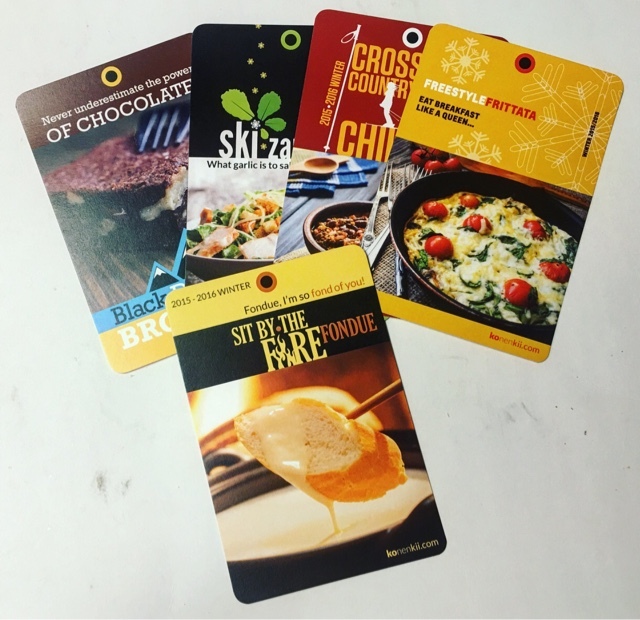 Konenkii Apres Ski Recipe Cards --- Konenkii always includes some amazing recipe cards in their boxes, I love that. And they are always so beautifully done that I have started a little recipe book just for them. 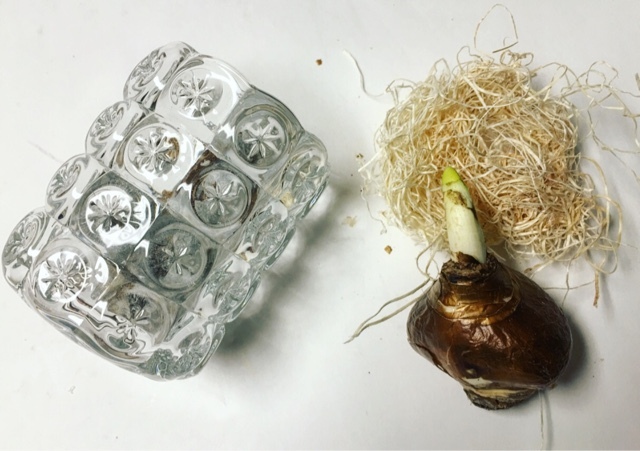 Paperwhite and Votive holder --- As simple as this seems, I never would have thought to put a flower bulb in a votive holder! It's rather ingenious really. Konenkii says this heavenly scented flower will bloom and help chase the winter gloom away. And I looooove the votive holder too! 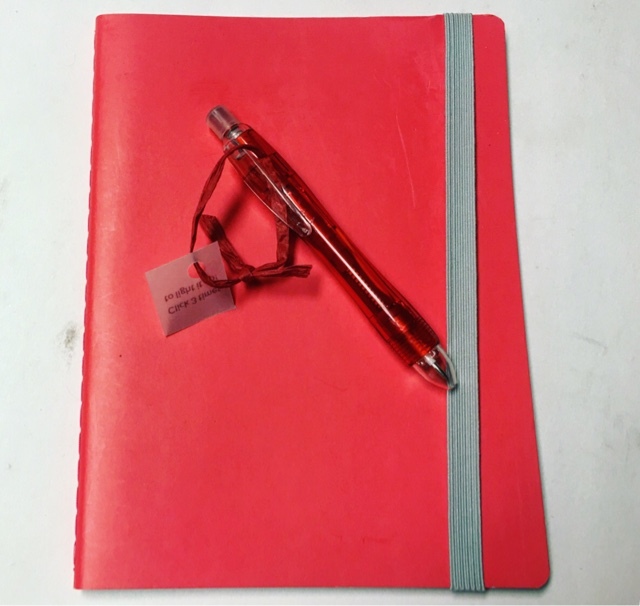 Journal and Lighted Tip Pen --- I am always happy with a notebook and pen. Winter is a great time to assess and adjust the things in our life and this journal is the perfect thing to write those assessments and thoughts in. What is really amazing though, is this pen. Three clicks (how very Dorothy Gale!) and the pen tip lights up for easy writing in the dark! White Pashmina --- Good Fashion Gods do I love this!! It's so amazingly soft and luxurious that I want to wear it every single day. Seriously....it's glorious. And the perfect color for Winter, classy but trendy all at once! 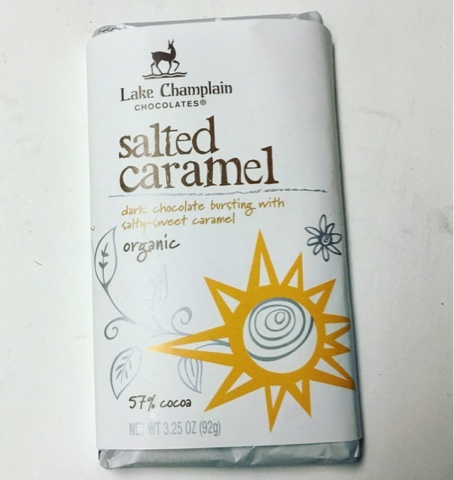 Lake Champlain Salted Caramel Chocolate Bar --- uhhhh.... Can you say DELICIOUS?! This all natural dark chocolate bar is filled with rich and sinfully good salted caramel from the banks of the eponymous Lake Champlain. 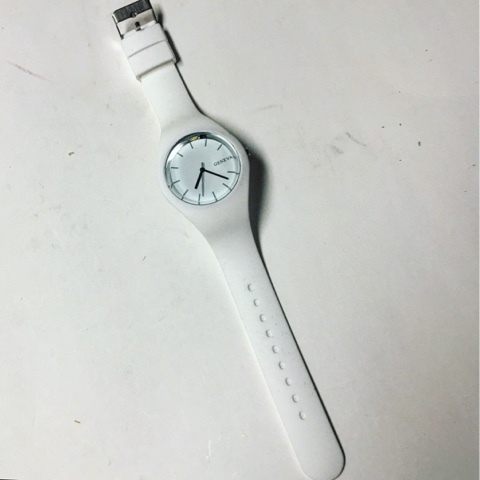 White Sillcone Watch --- Another item that I am crazy in love with! 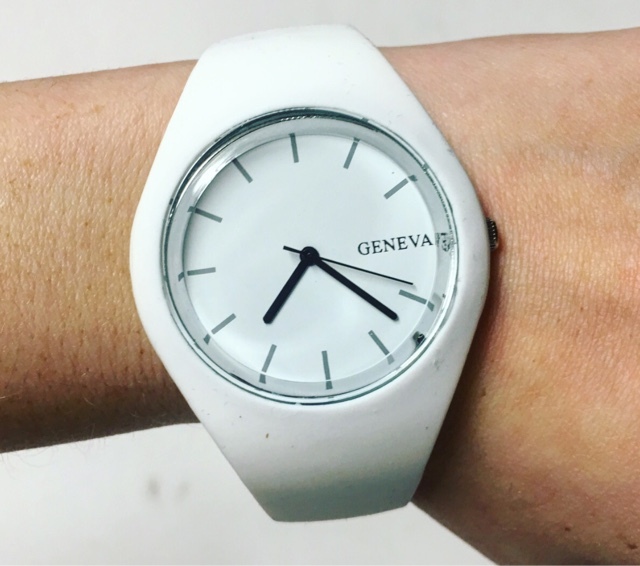 I still have a thing for watches despite having time right in front of me on my cellphone. Here's a better look at this gorgeous fashion statement. 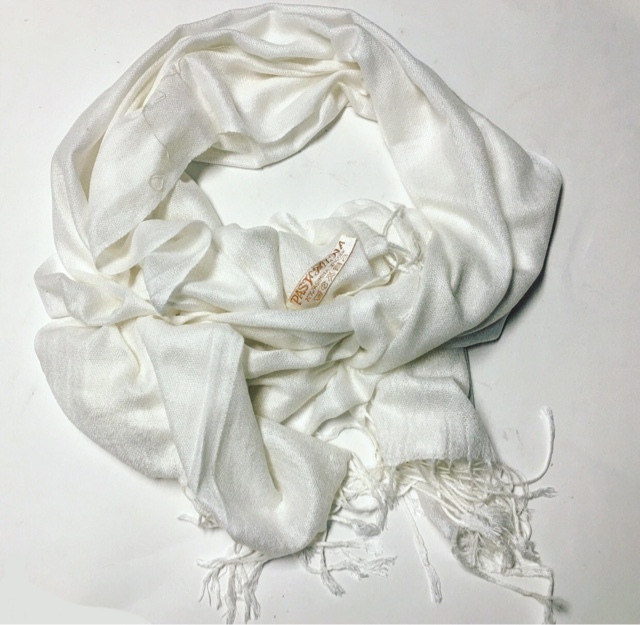 It's so sleek and classy, This will be worn often... And it perfectly compliments the white Pashmina! 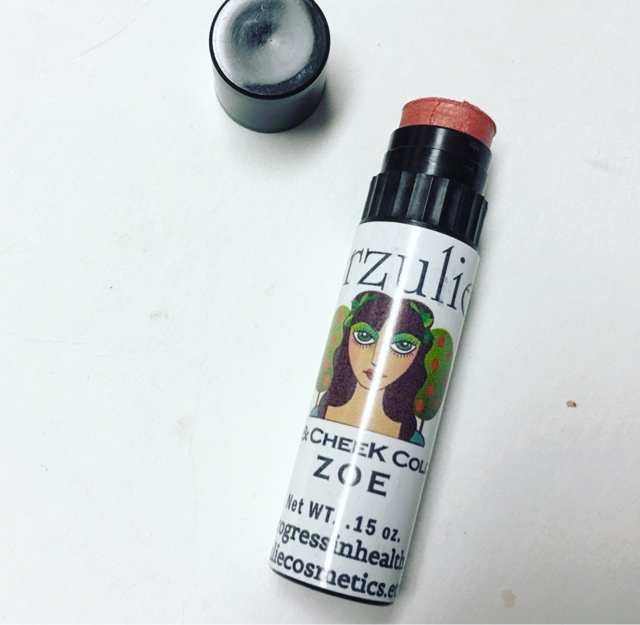 Erzulle Lip & Cheek Color Stick --- Anything that pulls double duty, I adore. It's an all natural color stick that gives you just the perfect amount of color for a radiant and youthful blush. I get so washed out in Winter so this works beautifully for me! 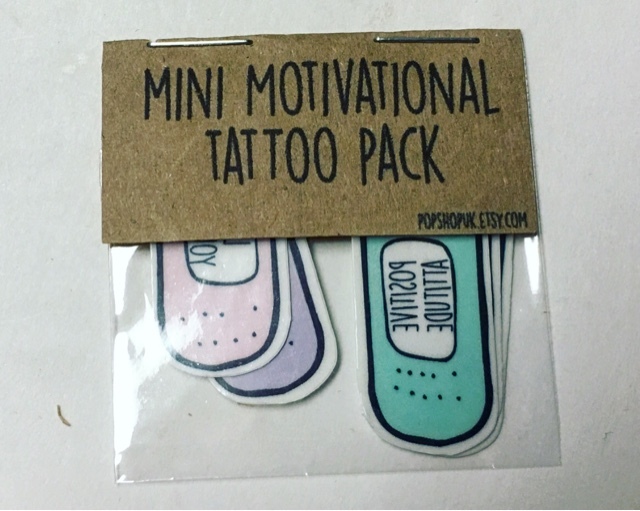 Mini Motivational Tattoos --- At first I was a little confused by these but they are actually a great idea. They all have a nice little motivational saying on them that so that you can always have those words of wisdom in front of you when you need to chase away winter gloom. Very cute! A truly fabulous box! Konenkii You have captured my heart! 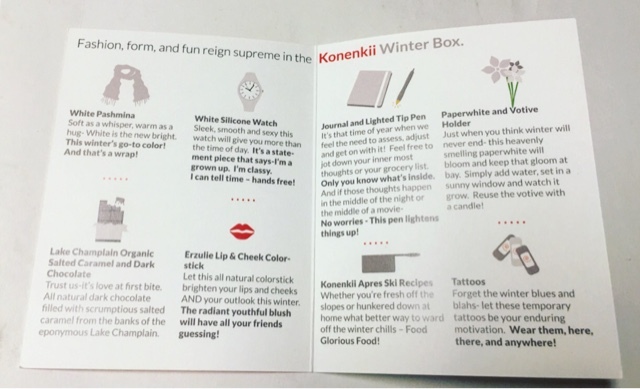 Thoughts on the Winter Konenkii Box? Share with us!